UPDATE 21/7/17: The Memory Lane Dementia Café will now be held on Fridays. Full details here. The Bromley Dementia Support Hub is running a regular dementia café providing a relaxed, informal setting for people with dementia and their family, friends and carers. 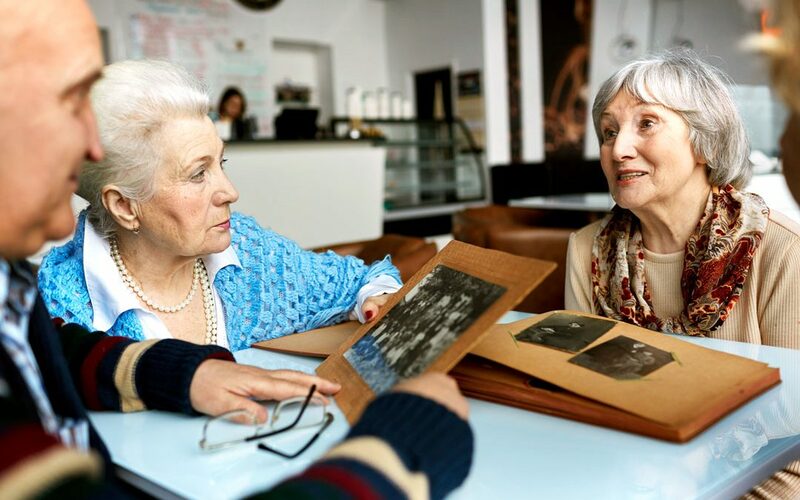 The Memory Lane Café is chance to make friends with other people from Bromley living with dementia, share and talk about interests and life experiences. The Memory Lane Café will be held every Tuesday, from 10.30am to 12.30pm at the HG Wells Centre, St Marks Road, Bromley, BR2 9HG. There is limited parking in the venue car park or in the Waitrose car park next door (minimum £10 shopping required to access). Bromley South train station is situated 5 minutes walk around the corner. Buses 61, 208, 261, 320, 336 or 358 stop right outside.